Ted sat high atop his horse, listening to the bullets whizzing by and gazing upon the victims they hit. The blue polka-dot handkerchief tied to his sombrero was easily seen and made him a vulnerable target. “This is insane,” he thought. “Where is the command to do…..anything?” Hundreds of troops stood motionless at the foot of Kettle and San Juan Hills, waiting for any orders to come. Attack or retreat, they didn’t care, but just standing there made them sitting ducks. Ted grew anxious as this campaign seemed to be in chaos from the beginning. Half of his Calvary men and all of the horses were accidentally left in Tampa when they departed for the mission. When they landed in Cuba, there was no way to bring the ship to shore, so the men were forced to wade in the water with their equipment above their heads. Some didn’t make it. Their wool uniforms were causing men to become ill in the blistering, July heat, and supplies, including food, were simply not there. Major General William R. Shafter was hesitant to give the orders to advance until Brigadier General Henry W. Lawton returned from the first stage of the attack. Lawton was delayed capturing the village of El Caney. Waiting was jeopardizing the lives of the men ready for the next phase. Spanish snipers at high points were effortlessly picking off Americans one by one. Retreat was virtually impossible as troops arriving to the area were clogging exit routes. While Ted tried to protect his men, another Calvary commander, John, was on the river, helping guide the advancing squads while under mortar attack. Confusion was everywhere. Squad leaders were barking orders while troops tried desperately to avoid the artillery being rained upon them. The men were finally in position. Casualties continued to pile up as they waited and waited for orders to attack. Those who did manage to have a horse were picked off like targets at a shooting gallery. First Lieutenant Jules Ord of the 6th Infantry decided it was time to take action. Freeing himself of his cumbersome uniform shirt, he took his pistol in one hand and a bayonet in the other. Turning to his troops he yelled, “Follow me, we can’t stay here.” With that he led the charge up San Juan Hill. Noticing the action, Ted motioned to his horseless Calvary, who followed his blue handkerchief up Kettle Hill. Just coming up from the river, John’s 10th Calvary regiment divided themselves between the two and charged both hills. John followed Ted up Kettle Hill where they easily capture the territory. With that, the commanders set their attention on San Juan Hill where Ord had already lost his life. It would not be in vain, though. The two soldiers led their Calvary men up San Juan Hill and forced the Spanish to retreat. It was a major victory for the Americans. They were now ready to attack Santiago, the focus of the mission. The infantry and Calvary attacked on July 2nd while the U.S. Navy struck the Spanish fleet just off shore on July 3rd. Pressure was kept on the Spanish until they surrendered Cuba on July 17th. 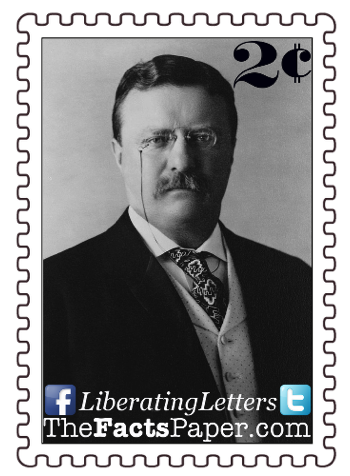 Theodore “Teddy” Roosevelt returned to the states and became our 26th President three years later. John J. 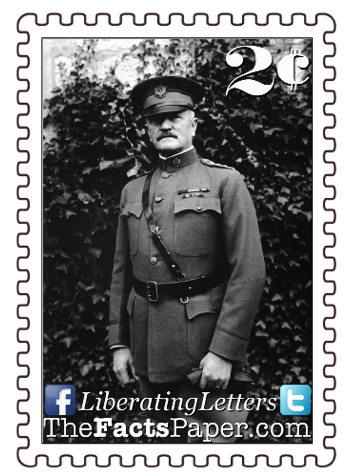 “Black Jack” Pershing was awarded the Silver Star in 1932 for his gallant display of leadership and calmness during this campaign. Roosevelt promoted him to Brigadier General in 1905 and he led our troops to victory in World War I. Pershing is the only man in American history to personally receive the rank of 5-star General with the grade of General of the Armies. General George Washington also holds this rank, which he received posthumously. The vast majority of the men on this campaign were heroes. From those men, we received two leaders that defined bravery and courage in America for generations. 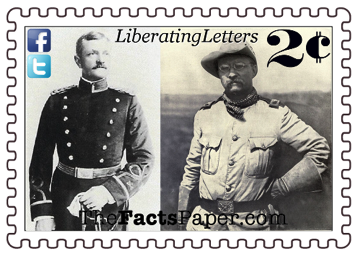 Both men left predominate positions to personally fight in the war. Both also led historical Calvary units. After President William McKinley declared war on April 21, 1898, Secretary of War Russell A. Alger turned to Roosevelt to lead one of three voluntary Calvary regiments. Ecstatic, Roosevelt felt compelled to decline due to lack of experience commanding a regiment during wartime. Instead, he proposed serving as lieutenant colonel with Leonard Wood as commander. An agreement was made and the Rough Riders were born. Roosevelt sought men from skilled ranchers in the Southwest, to social clubs in Boston and New York, to Native Americans. Dubbed “Rough Riders”, Roosevelt claimed the name developed "both by the public and by the rest of the army . . . doubtless because the bulk of the men were from the Southwestern ranch country and were skilled in the wild horsemaanship of the great plains." These men undoubtedly earned their title even though they stormed San Juan Hill without their horses. They were indisputably “rough”. The regiment became known for their blue polka-dot handkerchiefs, which they adopted from Roosevelt after the victory in Cuba. Liberty, for a good portion of my adult life, Liberals have worked hard to convince the American people of how awful she is. They have erased the stories of her heroes and her bravery in times of war and peace. America was liberated from England and spared socialism and communism because men and women stood up and fought. As these same liberals are daily eradicating our liberties with unconstitutional Supreme Court rulings and executive orders, I fear your generation will be forced to once again stand up and fight to liberate America. May these stories give you encouragement, hope, inspiration and direction. These men did not fight to have free college, free health care, free abortions, or free phones. They fought and died for freedom. Freedom to worship as you choose. Freedom to carry a gun. Freedom to privacy. Freedom from government mandates. Freedom from tyranny. At the time of the Maine attack, Pershing was instructing at West Point. Seeing war as inevitable, Pershing began writing Assistant Secretary of War George Meiklejohn, stating "if I should accept any duty which would keep me from field service, indeed if I did not make every effort to obtain an opportunity for field service I should never forgive myself." He also contacted the current 10th Calvary commander, Colonel Guy V. Henry, requesting to rejoin. When Meiklejohn’s office did not respond with an assignment, Pershing visited him personally, proclaiming, "I shall resign and join some National Guard or volunteer unit that stands a chance of being sent to Cuba.” Left with no choice, Meiklejohn approved Pershing’s orders to rejoin the 10th Calvary.